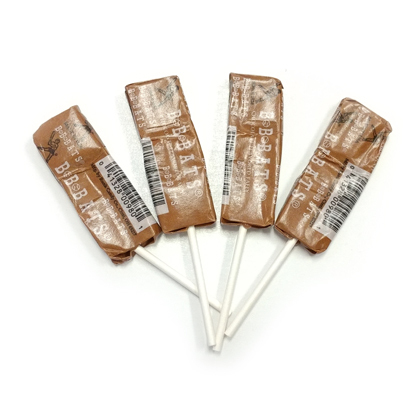 BB Bats old fashioned taffy pops in chocolate flavor. 20 ct bag. Made in USA. Individually wrapped.